Home » Blog » Industry News » What is The Property Ombudsman? Selling your home can be a stressful and time-consuming process, particularly if you feel you’re being treated badly by your estate agent, quick sale firm or lettings company. But what can you do when you find yourself inconvenienced or out of pocket because of a property professional? If you’re looking for a free and easy way to settle a dispute between yourself and a property buyer, the Property Ombudsman (TPO) can help. In this blog, we look at what the Property Ombudsman is, how it works and why it’s important to sell your home through a regulated property buying company. What does the Property Ombudsman do? Established in 1990, the TPO is a not-for-profit redress scheme that deals with disputes between homeowners and property buyers. The Ombudsman’s resolutions are designed to achieve a full and final settlement of the dispute by way of compensation. How does the Property Ombudsman work? The Ombudsman can only deal with consumer complaints if the property buying company is a member of the TPO. It’s important to make sure that you use a regulated property buying company so you can rely on redress schemes like the Ombudsman to settle disputes. Before the Ombudsman can process a complaint, the homeowner must first give the property company the opportunity to resolve the issue. If eight weeks have passed since the initial complaint was made with no resolution, the complaint can then be taken to the TPO. If the Ombudsman thinks a complaint is justified, it will contact the property company with a decision, which is made based on the evidence presented, legal principles and the relevant TPO code of practice. The decision the Ombudsman makes is final, but the company has 14 days to accept or appeal against it. The property buying company can only appeal if they can prove there’s a mistake in the Ombudsman’s findings, or if new evidence has come to light. If the TPO supports a claim, it can make compensatory awards up to a maximum of £25,000 for any quantifiable loss, aggravation, distress or inconvenience caused by the company. Which complaints does the Property Ombudsman consider? The Ombudsman will consider your complaint if the property company has infringed your legal rights, delivered poor or incompetent service, allowed avoidable delays, failed to follow the TPO code of practice, or is guilty of maladministration. The TPO cannot consider complaints which have not first been presented to the company in formal writing, complaints which are being dealt with by a court or regulatory body, complaints concerning potentially criminal activity, or complaints that are evidently unjustified. Before asking the Ombudsman to consider your complaint, you should write to the Agent to tell them why you are unhappy, set out the act or omission you believe has occurred, and let them know what you’d like them to do to resolve the issue. You should also follow up any phone or face-to-face conversations in writing, making a note of the date, time and who you spoke to. Be sure to keep copies of all correspondence with the Agent so you can use it as evidence if you need to. To refer your complaint to the Ombudsman, you need to complete and sign a TPO complaints form and send it along with supporting documentation, including copies of your complaint letters and the Agent’s final viewpoint letter. The Ombudsman will contact you if it needs further information and to inform you whether your complaint has been accepted for review. Formed in 2013, The National Association of Property Buyers (NAPB) is committed to providing the highest possible standards in the property buying sector. To join the NAPB, members must demonstrate that they run a professional business, are committed to upholding high property standards and always treat consumers fairly. In July 2014, the NAPB decided to make it a mandatory requirement that all members must register with the Property Ombudsman, ensuring that all property companies adhere to the professional standards outlined in the TPO’s Code of Practice. 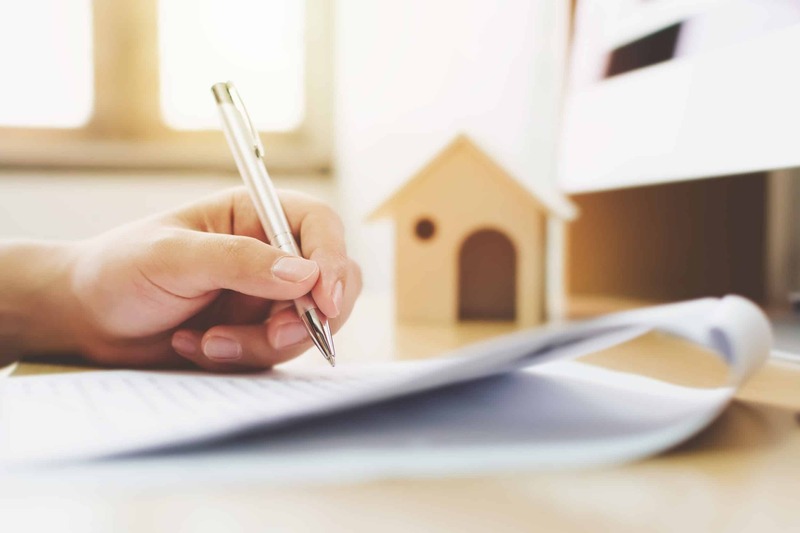 The Ombudsman’s Code of Practice is approved by the Chartered Trading Standards Institute (CTSI) and ensures that house buying companies comply with all property laws, provide a fair service to both buyers and sellers, and keep clear written records of all transactions. The agent is not listed as a member of TPO – what can I do? If the agent or company is not a member of TPO, you should contact the redress scheme they belong to. Agents must belong to one of the two government approved redress schemes: TPO or The Property Redress Scheme. If they’re not a member of any scheme, they may be operating illegally and you should contact your local council so they can investigate. What if the agent makes me an offer? If you’re happy with the offer, you should accept it. You don’t have to accept it, but as soon as the Ombudsman starts a formal review the offer will expire. There’s no guarantee that the Ombudsman’s decision will include compensation, so it may be best to settle the dispute between yourselves. What if I don’t agree with the proposed decision? If you don’t agree with the proposed decision, you can either reject or represent against it. If you can prove that the Ombudsman has made a significant mistake, you have 21 days from the date you receive the proposed decision to represent. If you reject the decision, it will expire and the case will close. Who else can I contact to resolve a complaint? If you’re a residential seller or buyer and have a concern that the TPO cannot deal with, you could contact the HomeOwners Alliance, which offers homeowners unbiased information and support, or Citizens Advice, a free service that offers assistance for a wide range of property issues. Choosing to sell through a regulated property buying company means that you’ll receive the highest standard of care throughout your house sale, and ensures that you can resolve any disputes through a redress scheme. Good Move are proud members of the Property Ombudsman and are regulated by the NAPB and the Royal Institution of Chartered Surveyors. If you’re looking to sell your house fast, contact our experienced professionals at Good Move today.